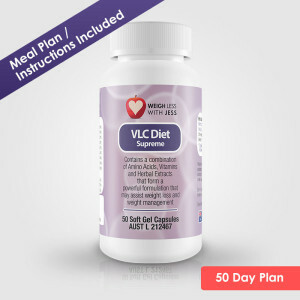 A 50 soft-gel container will generally accommodate in excess of 7kgs weight loss* and will last the 50 Day Weigh Less with Jess plan, when consumed correctly. 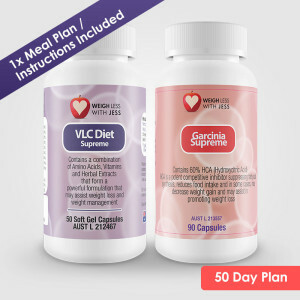 The Weigh Less with Jess meal plan also comes with your purchase. 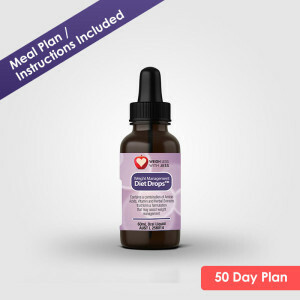 A 60ml Bottle Diet Drops will generally accommodate in excess of 7kgs weight loss* and will last the 50 Day Weigh Less with Jess plan, when drops are consumed correctly. 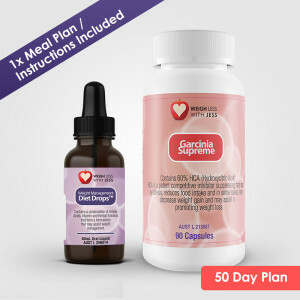 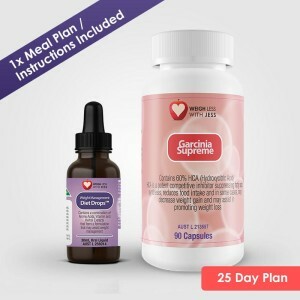 A 30ml Bottle of Weigh Less with Jess Diet Drops will generally accommodate up to 7kgs of weight loss* and will last the 1 x 25 Day Weigh Less with Jess plan, when drops are consumed correctly. A 30ml Bottle Diet Drops will generally accommodate up to 7kgs of weight loss* and will last the 25 Day Weigh Less with Jess plan, when drops are consumed correctly. 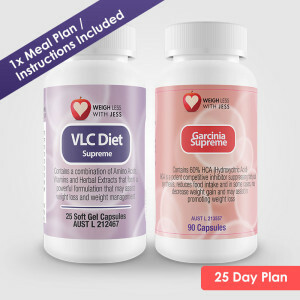 Weigh Less with Jess Meal Plan included.